For exceptional aging. For spectacular celebrating. For both cellaring and serving, large formats represent the height (literally!) in collector gifting. 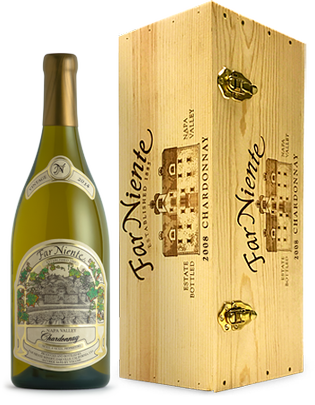 The Far Niente Chardonnay double magnum (3L) rests in branded wood boxes, custom-fitted with elegant brass hardware. The Chardonnay bottle is sealed in hand-dipped wax. The 2014 Far Niente Chardonnay opens with light tropical aromas alongside melon, juicy citrus and a layer of toasted oak and mineral. The silky entry introduces bright melon and citrus notes complementary to the nose, then progresses to a creamy, structured midpalate. The long, mouthwatering finish has bright acidity with lingering citrus, toasted nuts and wet stone flavors.